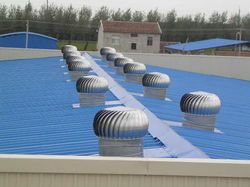 We are engaged in offering a wide array of Ventilation System. For this, we offer cost effective and efficient Ventilation Systems, which are used for cleaning contaminated air. Our industrial ventilation systems can easily installed in various industrial areas, mills and factories. Moreover, these are widely in demand from our clients for their efficiency and excellent performance. "We are looking for enquries from Central India, mainly from Maharashtra, Rajasthan, Chattisgarh, Andhra Pradesh, Madhya Pradesh & Orissa." Turbo ventilators are designed and engineered to exhaust Industrial pollutants such as smoke, dust, poisonous gases, humidity, fumes, heat and many more invisible irritants from the covered area. Turbine Ventilator provides a safe, cool, healthier and more controlled environment by removing the entrapped heat and industrial emission ensuring the health of workers, thus contributing to an increase in workers productivity. We are pleased to present our esteemed clients with an unparalleled range of Air Exhaust Ventilators. 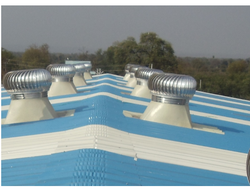 Owing to our vast experience in this domain, we are engaged in supplying a wide range of Roof Ventilators. 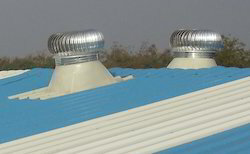 These ventilators used to reduce the heat of roof and minimize the load on air-conditioners. 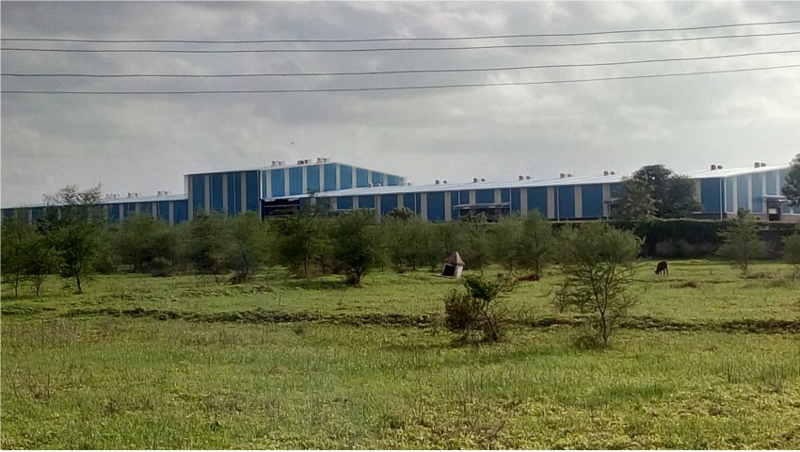 Moreover, our team members manufacture these ventilators in compliance with the industrial norms and standards. Clients can avail these ventilators in diverse specifications as per their requirement at industry leading prices. 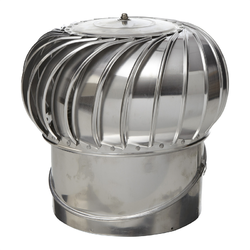 We are a coveted business entity engaged in distributing and supplying a remarkable range of Industrial Ventilator. The offered range is manufactured at the well-equipped manufacturing site of our certified vendors, who make use of modern tools, latest technology and genuine raw material in the fabrication process. Specifically fabricated to achieve maximum wind energy utilization, the range is extremely strong and resistant to varied elements.